The delivery of drugs and diagnostic markers to cancer tissues has been a major challenge in the development of cancer therapies. Typical delivery methods distribute products throughout the body, affecting healthy and cancerous cells, thereby toxic effects to healthy cells limit the scope and effectiveness of the anticancer therapy. Targeted therapies and diagnostics provide a means of delivering more potent molecules to the cancer cells, but conventional targeted delivery methods still have many limitations. A comination of targeted delivery methods, both active and passive, can increase the concentration of a drug or diagnostic molecule in the cell, while minimizing the effects on healthy cells. Nanoparticles, particles between 1 nm and 100 nm in size, can be engineered to contain multiple functional groups, making use of synergistic targeting strategies. What Pittcon Can do for You from AZoNetwork on Vimeo. The size of the nanoparticle is an important feature for drug delivery. The optimal size for cancer applications is between 10 and 100 nm. At less than 10 nm, the particle will be eliminated too quickly by the kidneys and particles larger than 100 nm tend to be cleared rapidly by the immune system. Light scattering is the standard method for measuring the size and zeta potential (electrokinetic potential) of dispersed nanoparticles. Nanoparticle tracking analysis (NTA) and resonant mass measurement (RMM) are newer techniques that can also be used to measure as well as count nanoparticles in a sample. Malvern Instruments Ltd. supports NTA through its NanoSight range of instruments and RMM via the Archimedes product range. From Particle Metrix Inc., the ZetaView carries out nanoparticle tracking analysis with micro-electrophoresis and Brownian motion analysis. Malvern and Particle Metrix will be exhibiting at Pittcon 2017. Nanoparticles can be made from a range of materials, including metals, polymers, dendrimers, liposomes, viruses, and carbon nanotubes. Different properties of the materials can be exploited for use in targeting cancer. For example, dendrimers have been used extensively in biological applications because their highly branched, repeated, three-dimensional structures offer many options for placing functional groups with precise control of the size and shape of the particle. 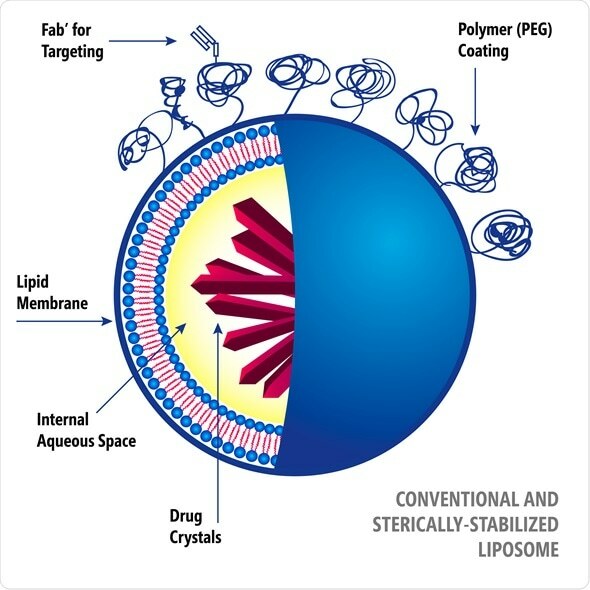 Liposomes, as well, are popular for creating targeted delivery systems. They have been in use for 50 years, but a newer generation of polymer-coated liposomes have been shown to increase the duration of blood circulation of a drug from a few minutes to as much as three days. Metal nanoparticles have attractive potential for diagnostics and enhanced forms of therapy, such as thermotherapy. Iron oxide nanoparticles have long been used as imaging agents for MRI. They are now being investigated as drug carriers that can be targeted to a desired tissue using an external magnetic field. The unique properties and design characteristics of nanoparticles lead to some unique applications. For example, combining a cardiac-targeting peptide and a photosensitizer group in a nanoparticle enables tumor-focused targeted imaging in combination with targeted therapy or cancer. The technique overcomes the imaging limitation of light penetration in conventional optical imaging technologies. In an upcoming presentation, “Nanotherapy and Nanodiagnostics: From Cancer to Heart Disease,” for Pittcon 2017, Raoul Kopelman details how this nanotechnology-based photodynamic therapy (PDT) method was effective for cardiac ablation to resolve arrhythmia. A similar approach can be used to target cancer cells in the heart or other tissues. Targeting strategies for therapeutic nanoparticles can be passive or active. Passive targeting makes use of the size of the particle and tumor vasculature. New blood vessels serving the tumor have larger gaps than blood vessels in normal tissues, allowing nanoparticles to penetrate. Nanoparticles can also be actively targeted by incorporating a targeting group on the surface of the particle. The targeting group usually binds a tumor-specific antigen or receptor. An idel candidate for a target should be unique to tumor cells and abundantly expressed on theutic payload into the cell. In another upcoming Pittcon 2017 presentation, “Spherical Nucleic Acids as Potent Immunomodulation Agents for Cancer Therapy,” Chad Mirkin from Northwestern University describes a new class of nanoparticles called spherical nucleic acids that interact with cells through toll-like receptors (TLRs) to activate the innate immune system in antigen-presenting cells (APCs). Those APCs then mature and activate effector T-cells to kill tumor cells. 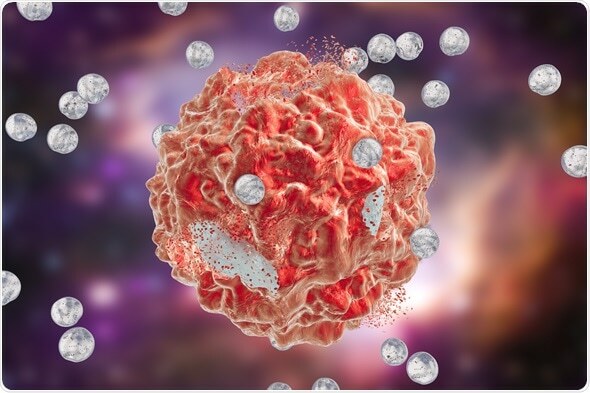 SNAs, which consist of a dense shell of oligonucleotides conjugated to a spherical nanoparticle, are being used to develop vaccines against prostate cancer, melanoma, lymphoma and triple negative breast cancer. Pittcon® is a registered trademark of The Pittsburgh Conference on Analytical Chemistry and Applied Spectroscopy, a Pennsylvania non-profit organization. Co-sponsored by the Spectroscopy Society of Pittsburgh and the Society for Analytical Chemists of Pittsburgh, Pittcon is the premier annual conference and exposition on laboratory science. Proceeds from Pittcon fund science education and outreach at all levels, kindergarten through adult. Pittcon donates more than a million dollars a year to provide financial and administrative support for various science outreach activities including science equipment grants, research grants, scholarships and internships for students, awards to teachers and professors, and grants to public science centers, libraries and museums. Visit pittcon.org for more information.